Google Analytics is an essential feature to be implemented in any website that is developed, and we offer our expertise in setting it up, monitoring and analysis of the results obtained. This web analytics service which happens to be delivered by Google, keeps track of a website’s traffic and traffic sources. With all your data tracked, this is extremely useful to for Search Engine Optimization. With the captured data, be able to fine tune your online marketing strategy for even greater online success. Google Analytics is the most sought-after web analytics tool around the globe mainly due to its versatility. It packages monitored web usage and other analytic information from your website in such a way that even a novice can comprehend the results. Advanced webmasters on the other hand can mold this data using tools provided and obtain in-depth analysis of the same data. On websites with ecommerce solutions implemented, this service will measure conversion, as well as sales. We consider the installation and maintenance of Google Analytics as a vital aspect of our website development services. Basic service of Google Analytics is available free of charge while the premium version is available for a small fee. Process of Google Analytics installation lasts less than 10 minutes. The statistics obtained for monitoring and analysis by Google Analytics far outweighs this tiny amount of initial effort. It is also possible to run another website statistics software which can utilize server logs to generate more information, and in the end you can combine results from both. down to low levels of detail. Websites which have ecommerce solutions implemented must always work towards goals of sales, or contact, or email. Google Analytics provides facilities to set up a goal in electronic form which is a set of pages that clients will have to navigate through. When a customer reaches the last page, a goal is said to be accomplished. With this facility set up you can gain insights upon tracking the exact point where clients decide to leave your website. It does not take much effort to retrieve standard reports prepared after analysis. 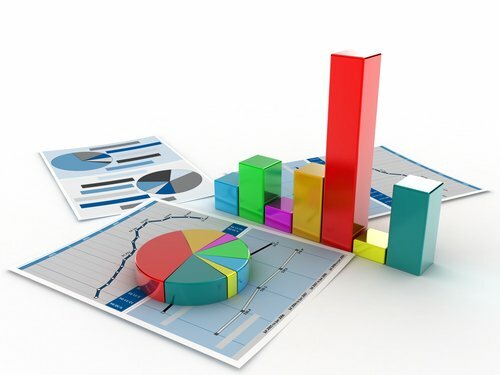 If you can invest a bit more effort, you’ll also be able to obtain customized reports regarding various segmentations of your customer market, who have accessed your services. The data is reported real-time and the user-friendly dashboard makes it a breeze to sift through it. Data visualization is another powerful aspect of Google Analytics. This tool enables you to figure out the best and worst of your website. You will find out how visitors are bedazzled by hidden gems on your website, or as we like to refer to it, the dark horse content. The ability of different content on your website to retain visitors is thoroughly analysed using these tools. These tools provide facilities to set up experimental web pages so that different versions of a page are fed to different visitors, while recording and monitoring its effect. Mobile web is growing in prominence in our modern world and Google Analytics provides measurement on visits from web-enabled mobile devices. Google Analytics gives detailed information regarding a visitor’s path through mobile apps, all the way from perception to captivation or user engagement. Analysed data is tailored towards mobile application developers as well as marketers, in a language that makes sense to them. This suite encapsulates the total function of Google Analytics by analysing and depicting how all your efforts in advertising and marketing are engaging visitors on your website. You will be able to measure sales, downloads and video plays. This tool can be customized to obtain measurement of any such user activity that needs to be monitored. You will be able to decipher the reasons behind customer purchase and also reasons leading to user bouncing off of your website. You will identify products or services that sell best as well as promotions that are working to increase sales through ecommerce reporting. Trace your customer’s interactions and transactions to specific keywords that brought them to your website. We live an era of social media revolution. It is happening at such a huge scale that it is essential to obtain data from these interaction. Know how your social media marketing is fairing. These reports will enable website owners or businesses to optimize their customer services. Google Analytics provide an integrated view of how appropriate content affects the varied communities. There are a dime a dozen social networks prevalent online which makes it important to learn which social media source is referring engaged visitors, what content they are sharing and where they are sharing it. When you have invested in advertising to attract more visitors to your website, it is only prudent to check up on its functioning and results. Google Analytics lets you do this too. It provides comprehensive analysis of advertisements across all digital channels such as email, search and other affiliates, tracking and analysing their conversion rates. 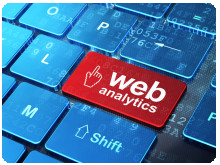 Contact us to get your web analytic done today. Propel Your Online Business to the Next Level. Know Your Strength & Weakness.